Oklahoma drivers education course is entirely online and offers everything you need to prepare for you Oklahoma driver's permit test. A professional graduated driver licensing programs for those who want to learn how to drive safely accompanied with driver education videos. This Parent-Taught course has been approved by the Oklahoma Department of Public Safety. It not only includes 30 hours of online driver training, but it also incorporates the required 55 hours of behind the wheel and unlimited DMV practice tests. There are certain requirements that you must fulfill before you can get your Oklahoma driver's license, but it's really not as bad it seems anymore. This is really no longer something to get bummed out about because now you can do it all online and never even have to step foot in a boring classroom again. We have created an Oklahoma drivers education course that is entirely online and is everything you need to prepare for you Oklahoma driver's license test. This course is approved by the state of Oklahoma to fulfill all of the necessary requirements, but it is all done in a convenient and affordable way. When you register for this online Oklahoma drivers education course you get to choose a username and password that are unique to your account and this is what you use each time you want to log in to the course. You can log in and out as often as you like, so you can finish the course in multiple sessions. There is no minimum or maximum amount of time you must spend on the course, so whatever works for you goes. Also, every time you log out of the course your spot is automatically saved, so when you log back in you can just pick up right where you left off, rather than having to try and remember what page you were on. Once you finish all of the course units, your last requirement is the online final exam. It is necessary to answer correctly on 80% or more of the multiple-choice questions. The questions come straight from the course material so there should be no surprises. Students have unlimited attempts at the exam for no extra charge. Congratulations! When you have passed the final exam, we will print your Certificate of Completion and mail it out same-day. This valuable document is needed to prove that you have completed Oklahoma Driver Education. 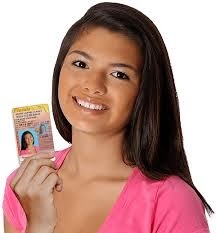 Driver's Education Course to get your OK Drivers License and Learners Permit you need to take a DPS approved Oklahoma parent-taught driver education course. complete the Oklahoma DPS required course all online. This course what will get you your Oklahoma driver's license as soon as possible, so sign up today and get one step closer to being a licensed driver.